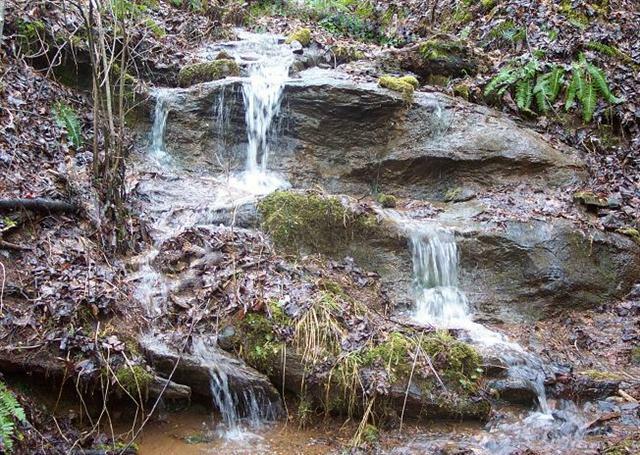 The little waterfall in front of our log camping cabin, which is next to the sled runs, east of the house on the north slope. 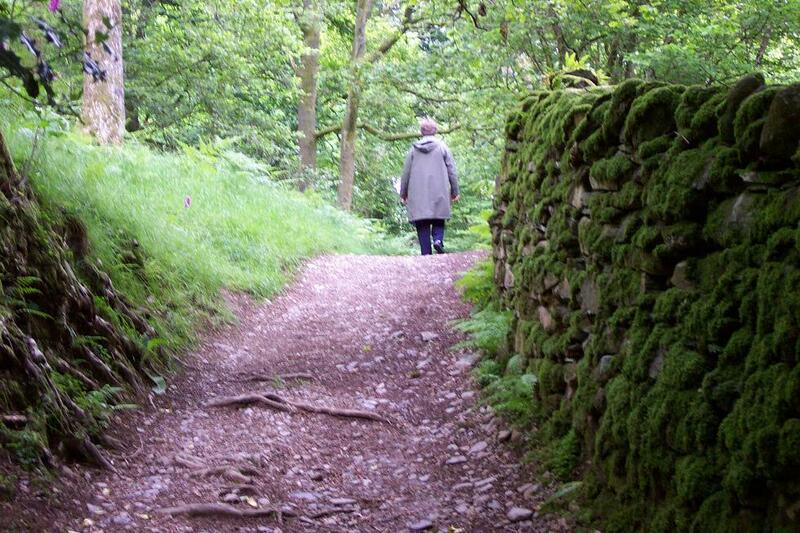 Karen walking on a trail near Amberside, England. 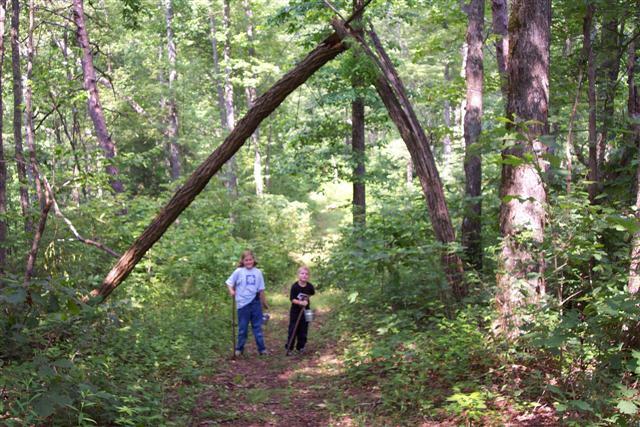 We not only have thirty-some acres full of paths on which to hike, but the area adjacent to ours (especially the 14,000-acre Forest Service tract) is rich with trails, creeks, waterfalls, trees, vistas, blackberry patches, mountain tops, wildlife, flowers, and many other features. Katie and Kyle at the former "entrance" (a broken over locust tree that has since fallen) to the blackberry patch (which has moved on to other spots). 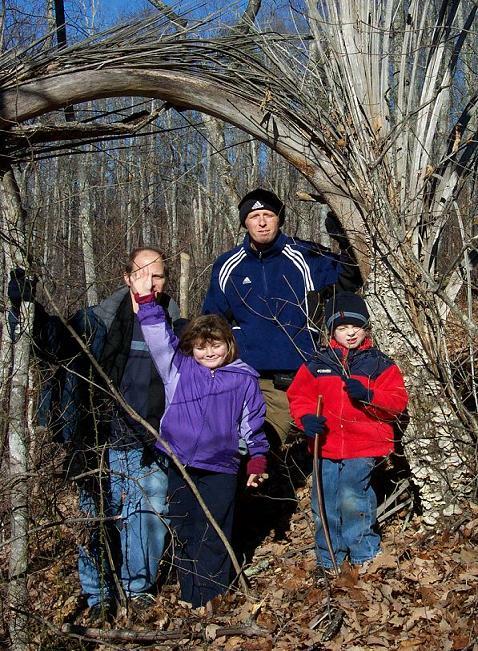 Katie and Andrew under another split locust tree, hiking above the rocks on Gobler's Knob with grandpa and Jeff. 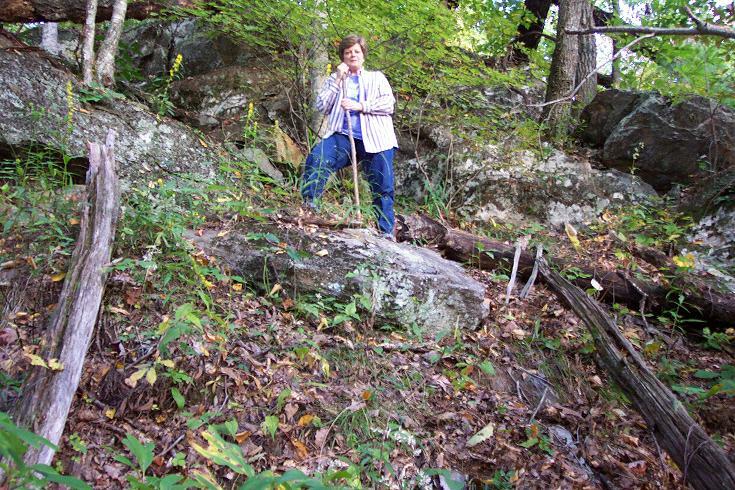 Karen "on the rocks" on the hillside just south of our house, an area filled with cabin-size boulders that are very picturesque and a bit tricky to climb upon. 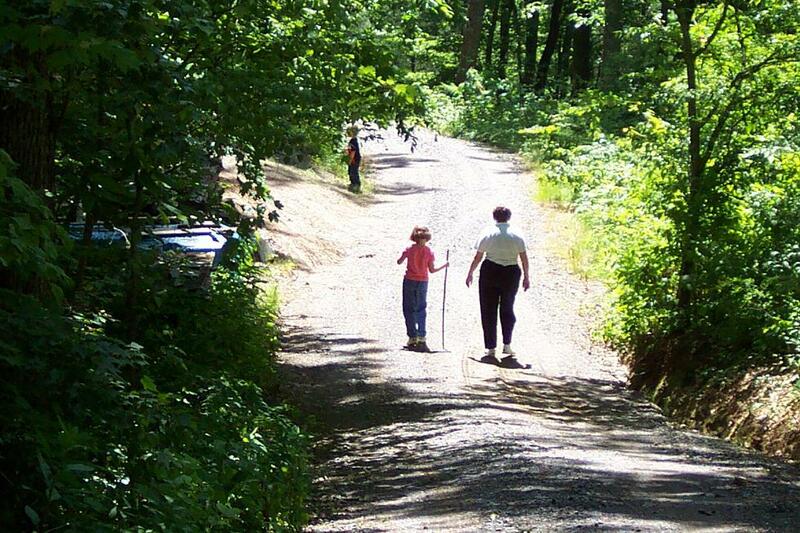 Karen walks with Katie and Kyle (already there) down the driveway to the log cabin workshop.. 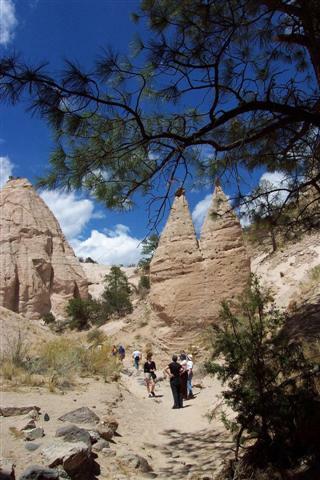 Hiking at Tent Rocks State Park, near Santa Fe, NM. 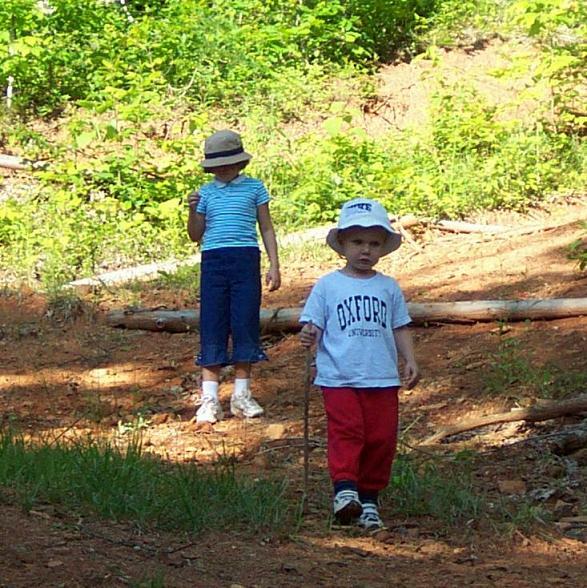 Katie and Kyle with their walking sticks, coming down the trail on Round Top.